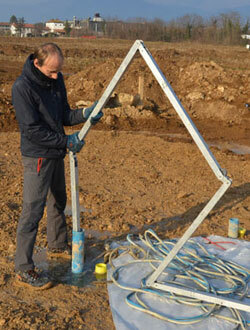 Tatzel is a multi-component seismic borehole array, suitable for holes greater than 2.5”. 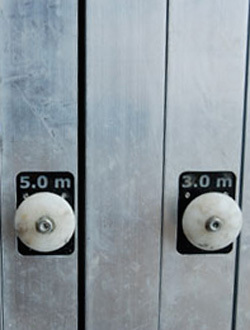 On the inside, it counts sets of three iso-oriented accelerometers or velocimeters; the sets are equally spaced. The clamping system is constituted by a series of pneumatic piston controlled by a console at the top of the hole. Tatzel is equipped with a compass for the reading of the sensors orientation and a self-balancing system of the pressure in the clamping circuit to avoid the risk of water infiltration inside the pistons, in case of underwater use. Tatzel can be used in horizontal holes, using an array of operating rods. Maximum hydrostatic load supported: 80 m.
Tatzel is customizable regarding the choose of type and center frequency, the spacing between the sets and the total number of channel.